Nothing brings life to a garden like well, life. You know the birds and the bees and the like. Let’s get some of that life in your yard by planting some of the very best perennials for attracting Butterflies in the Midwest. I add suggestions for good cultivars of these where appropriate. While some of these are also host plants for caterpillars, that is not the focus of this list. 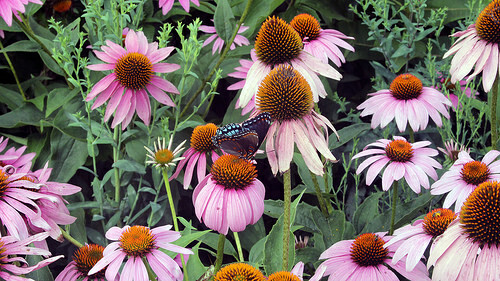 The plants on this list are tops at attracting Adult Butterflies. 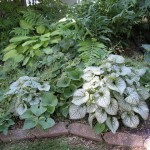 These plants will do well in most areas with similar climates. 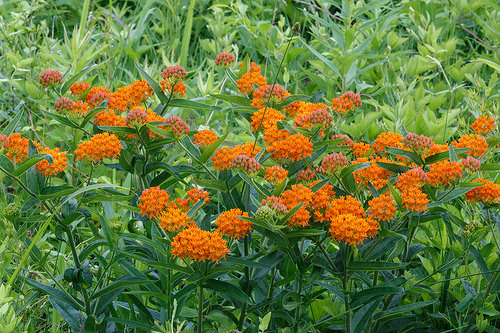 Butterfly weed one of the absolute best plants for attracting butterflies. They are also a Monarch and Queen Butterfly host plant, so they lay eggs on them that turn into caterpillars and eventually Butterflies. Plant them small (1 Gallon size pot or smaller) in their permanent spot as they have a long tap root which makes moving them difficult. 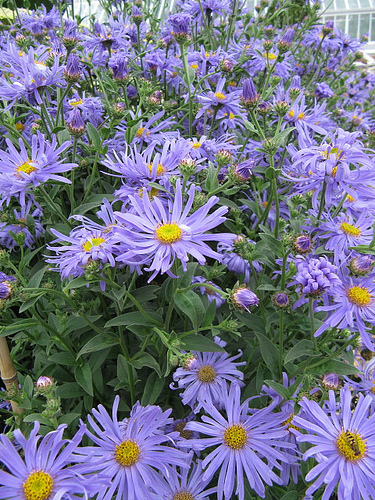 All asters attract butterflies to the garden, but some of the best include Raydon’s Favorite (Symphyotrichum oblongifolium ‘Raydon’s Favorite’), Lady in Black (Symphyotrichum lateriflorum ‘Lady in Black’, and Jindai (Aster tataricus ‘Jindai’). 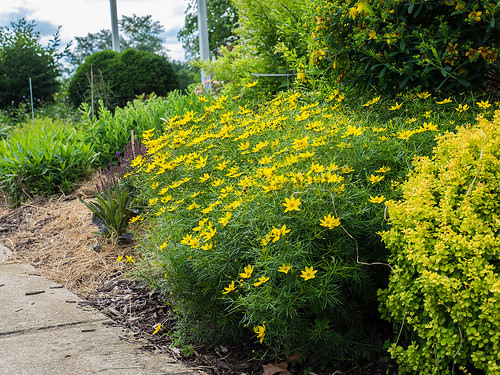 These are all excellent choices for perennial gardens or naturalistic landscapes according to the Chicago Botanic Garden Trials. If you are looking for one for a shady spot try White Wood Aster (Eurybia divaricata). 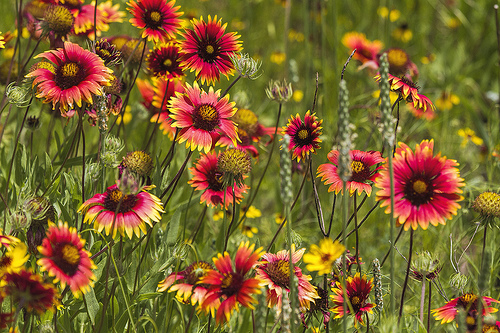 You almost can’t go wrong with any of these long lasting bright happy little flowers. Moonbeam is the old standby, but I like Zagreb (Coreopsis verticillata ‘Zagreb’). I also recently planted some Sand Coreopsis (Coreopsis lanceolata) which are doing great and are supposed to be excellent at attracting beneficial insects as well (good insects that eat the bad ones!). See Mt Cuba Center Plant evaluations for more info. Fantastic long bloom period even in drought. Will also attract bumblebees and feed finches in the winter. Forget all the fancy cultivars, if you want butterflies stick to the species and you will get your butterflies! Some of the new hybrids are sterile. Most Joe Pye Weeds can get a bit too tall (over 5′) for most gardens. If you are looking for a good smaller one try Ageratina altissima ‘Chocolate’ or Eutrochium dubium ‘Little Joe’. 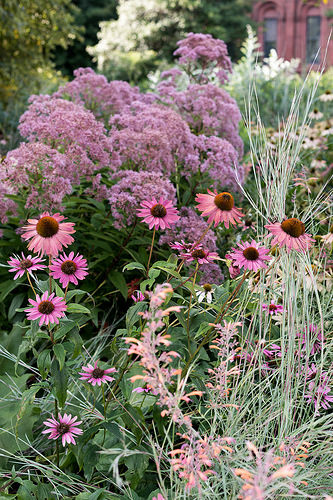 Interested in finding more good ones, take a look at the Chicago Botanic Gardens Trials . These short lived members of the Sun Flower family are easy to grow from seed and flower the first year. There are more choices then just ‘Goblin‘, why not try and grow a few different ones. Their hot colored flowers never fail to attract nectar-seeking butterflies. Butterflies (and bees) love Liatris. 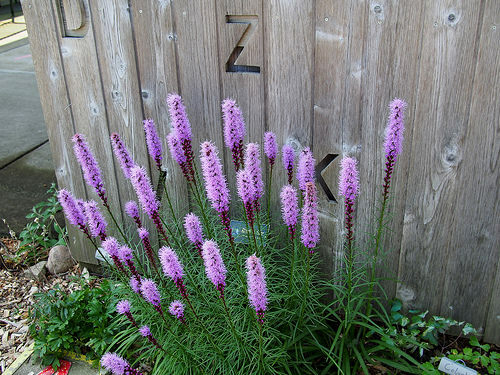 With unique purple spikes of flowers and leaves that look like clumps of grass, blazing star is a great addition to any butterfly garden. Liatris spicta does get a bit big, so try the dwarf ‘Kobold’ for better scale as it only gets 1.5 to 2.5 feet tall while the species can get up to 4 feet. Sure the common name contains the word “Bee” but it could just as well be “Butterfly”. Monarda are unfortunately often infected with powdery mildew. Sometimes quite severely, therefore pick one with good mildew resistance. 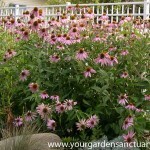 Monarda does spread, so give it a home where it can roam a bit. Good ones include ‘Marshall’s Delight“, ‘Colrain Red,‘Raspberry Wine’, ‘Rose Queen’, ‘Rosy–Purple’, ‘Violet Queen’ and Monarda fistulosa f. albescens. Eastern Bee Balm (Monarda bradburiana) seems to be free from mildew. 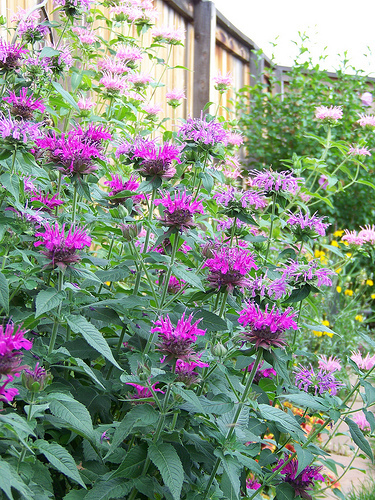 Unfortunately, it’s flowering period is pretty short for a Bee Balm at about a couple of weeks. See C.B.G. and Mt Cuba Center Plant evaluations for more info. Here is another great flowering plant that can suffer from Mildew. Carefully selecting one resistant should be a priority. There are lots of good choices here, but the best is the not so short Phlox paniculata ‘Shortwood’. 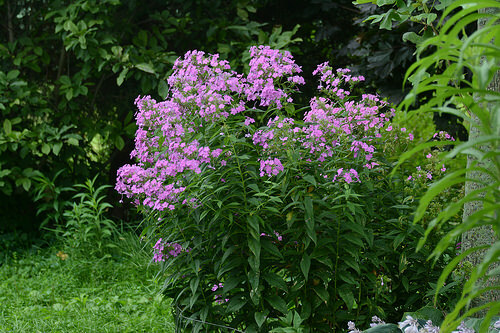 This selection of this native plant grows up to 4′ tall and makes a great back of the border plant. See C.B.G. Evaluations for other good selections. It’s hard to go wrong with a Black Eyed Susan. They usually bloom for a long time often from late Summer into Fall. It’s also not unusual for the flowers to completely cover the plant. Pick most any of them. ‘Goldsturm‘ is the most common but skip it as it tends to get Septoria leaf spot. The species is better. If you want one a little bit shorter, I like Viette’s Little Suzy (Rudbeckia fulgida ‘Viette’s Little Suzy’). It is a great little plant that does not get more than 18″ tall. Although this non native (the first and only in the list!) 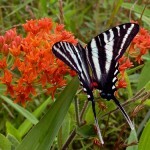 is about as common as a mailbox, there is no denying the fact Butterflies love its late season blooms. ‘Autumn Fire‘ is supposedly an improved selection that flowers even longer into Fall and has sturdier stems. Butterflies really like Fall blooming Goldenrods, especially Monarchs that are looking for a nice meal on their way to Mexico for the Winter. So yes, plant Goldenrod, but please don’t plant Canada Goldenrod. It will take over you garden. 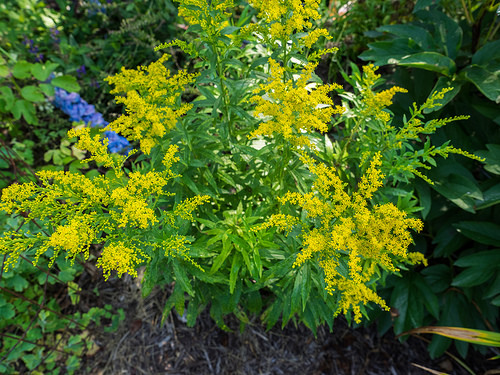 Try one of these better behaved plants instead: Solidago rugosa ‘Fireworks’, Solidago rigida, or if you have some shade, Solidago flexicaulis (it will spread too, but slowly enough to control). 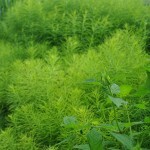 If you want a short one that only grows to about 2 feet give Solidago sphacelata ‘Golden Fleece‘, Golden Baby (Solidago ‘Goldkind’ ) or Solidago ‘Baby Sun‘ a try. So there is my list. Now go get shopping! But first, if you liked this post, please share it. Thanks. I’m obsessed with butterflies. 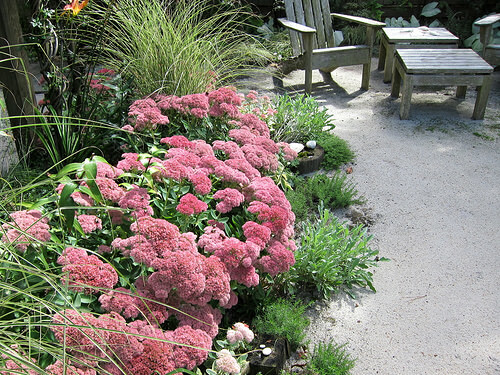 I have flamingo Phlox, Black Eyed Susan, Autum Fire sedum and next to it three butterfly weed have grown. I don’t’ know if it’s my area, but I hardly see butterflies in my garden. I’m interested in adding Asters or Coneflower and hope they come around. 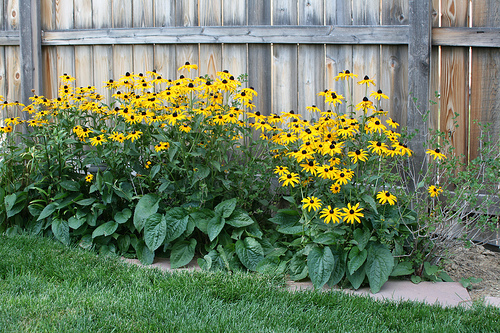 While I love the color Black Eyed Susan adds to my garden, I hate the aggressive way they spread. They are everywhere! Even in the grass around. I have all of these in my garden. It’s true: butterfly population is not what it was even five years ago, when my cones and asclepias were dotted day in, day out. On the other hand, no shortage of gold finches, which cling to the cones and feed to their heart’s content. It’s quite a sight!